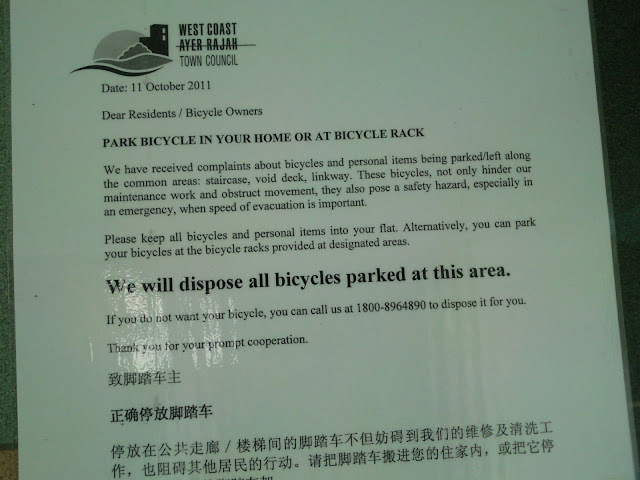 cut by a banglah employed by the town council, i thought he was joking with me. Later heard that Ah Soon made a police report and apparently classified as "Theft" Case. He subsequently paid a visit to Boon Lay MP Mr Lawrence Wong during the "Meet the People Session" on Monday. 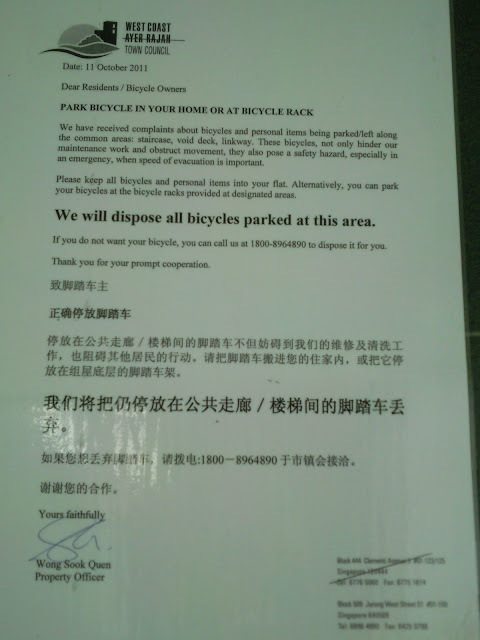 Saw this notice while doing flyer distributions at Boon lay Blk 215! Remove Bicycle Notice by West Coast ayer Rajah Town Council at Boon Lay Blk 215 8th Floor.